The Low Sleep Factor Episode! Hi Friends, I’m back in one piece after having a ton of fun, all the while operating with a low sleep factor. The adventure started with a late night “pack the bags” sesh after a gig here in Encinitas, blending into an early morning flight out of S.D. and then flying holding pattern circles in San Francisco. It was fogged in. From there, daytime drive time to Napa for a hit at the Opera House. Next, some late night driving after the concert to Davis to finally land into a real sleep moment at the hotel. 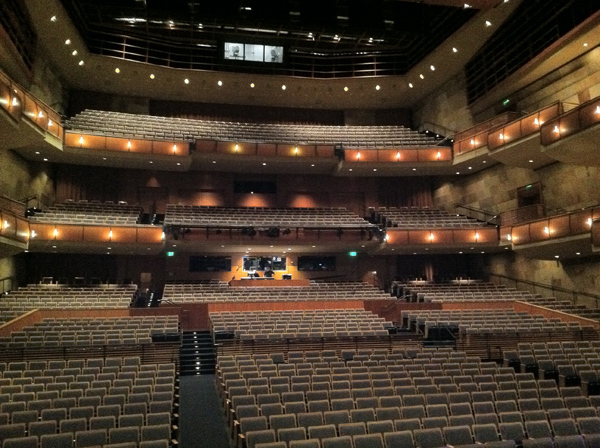 On Saturday evening we played a show at the incredible Mondavi Center for the Performing Arts at UC Davis. What an amazing venue! After the concert I took in 4 hours of sleep and then hightailed a flight home just in time for an afternoon gig at the RB Winery. After all of this, it came to last night and I held it together until 9PM and then happily left the planet for a good 10 hours. The secret to life is enjoying the passage of time  while sleeping! Hah! Here is the view from the stage at the Mondavi Center. What a sound! What a vibe! That's my guitar neck and notice how it's not broken. This is a good thing and I'm hoping to keep it this way. 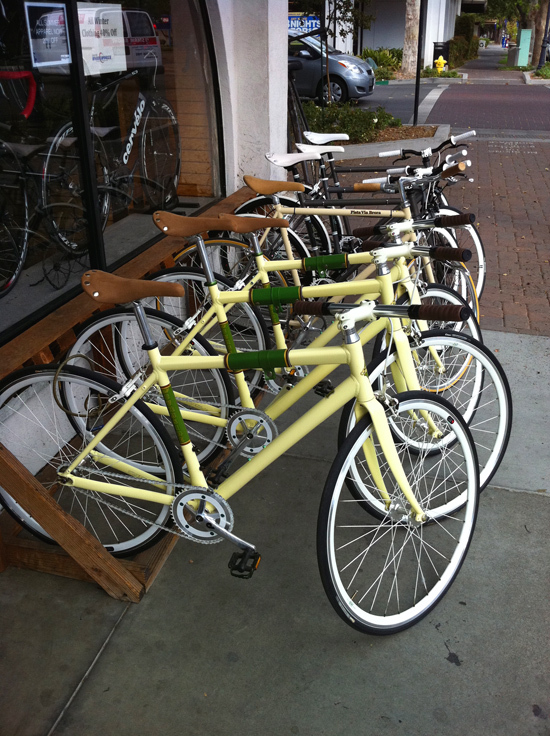 I had an afternoon to explore around Davis and one of my favorite things about this town was the way that bicycles RULE here! I'm in and can't wait to get a hold of one of these yellow beauties! 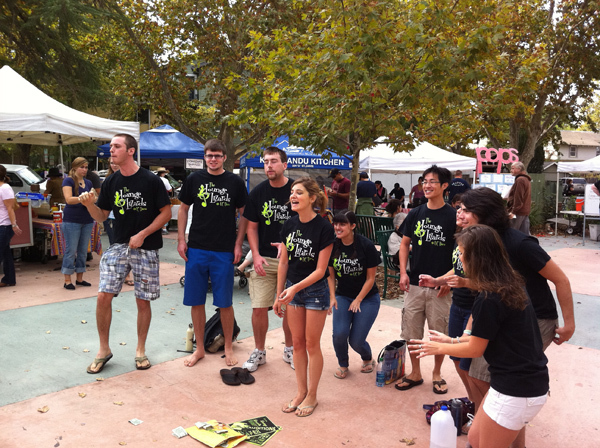 On Saturday in Davis there was a Farmers Market taking place and these young UC Davis singers we're ripping it up accapella style. The dude on the far left was the human snare drum and the gal in the center was totally trancing on a Rachel vibe from GLEE. I loved it! Gearing up for this week, I’ll be playing a few gigs much further east than my usual coastal haunt hits. 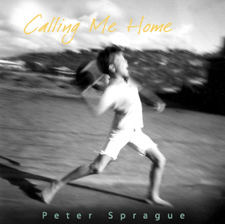 On Tuesday I’m driving out to the Rancho San Diego Library to play a solo guitar program. I love these library gigs! They are free for folks to get in and everyone really listens and this alone makes me really happy. Hope to see you there. On Thursday night I’m playing a show at The Merc in Temecula along with my brother Tripp and bassist Gunnar Biggs. This is a fantastic venue for music and this will be the first time our trio plays out there. Big fun and look below for the details! The one costal show I’m playing this week will be on Friday night at the super cool Tango del Rey in Pacific Beach. I love this place and the highlights are that it has excellent sound and actual free parkingdig that in this day and age of limited space for everything! 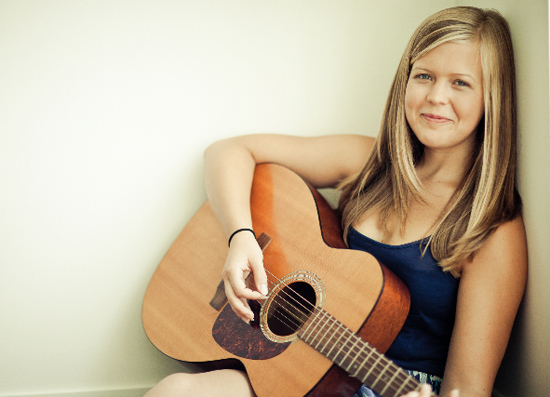 Boston vocalist Emily Elbert is on a West Coast tour and for this night she will be our special guest. We’ve played 2 shows together earlier in the year and for the Friday concert we’re celebrating Emily’s brand new recording called “Proof.” If you haven’t heard about her, please follow this link and take in an amazing young musician hovering in that creative place in her career, right before she starts filling up stadiums. She’s that good! We were in attendance last night at Tango Del Rey - a magical evening to say the least! In a few words we want to encourage you to think SERIOUSLY about taking what you put together to another level. We would have paid Las Vegas prime show prices for last night's experience and still come away feeling we got a bargain! Thank you for bringing Emily to San Diego. We're thrilled we saw the article in Night & Day (SD Union/Tribune) and made the effort to be there. I'm not a musician - just an audience "schmuck" - but I'm telling you - you captured a (multi) million-dollar moment. 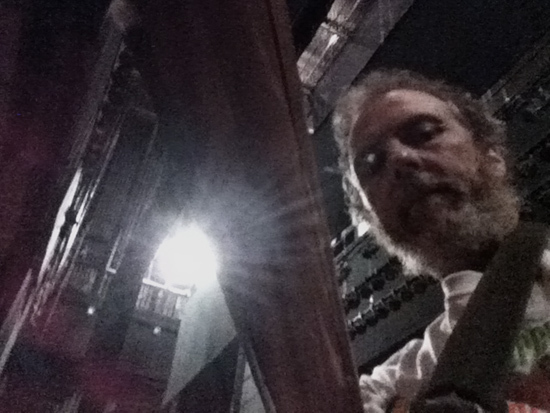 Peter, great gig last evening! I’ve never been to a concert that included pieces by the Allman Brothers, Jimi Hendrix, the Beatles, Jobim, and well - Emily. She has a flagrant disregard for genre - which works well for her. This truly brings it back to the old adage  there are only two types of music: bad (poorly played) music, and (well played) good music. Emily is amazing! That’s it for now friends. Keep on keepin’ on! 6:30 PM Solo guitar and this one is a free concert. Gunnar Biggs  bass 7:30 PM Super trio bringing our angle out to Temecula! Gunnar Biggs  bass 7:30 PM Emily played a show with us back in December and it blew my mind. What a vocalist and guitarist and I'm so happy she's passing through town again. You've got to hear her! For this concert were celebrating the release of a her new CD. and the Eclipse String Quartet 8 PM Amazing music from his new recording. 12 PM The City of Solana Beach will present an outdoor art, dance, & musical performance event for residents & visitors as they stroll along Highway 101 and experience the character of the Coastal Rail Trail. This cultural affair promotes walking in Solana Beach via the bridges and the Coastal Rail Trail to access Cedros shops, Hwy. 101 restaurants, and stores as well as beach destinations. The celebration will gather the community on the north half of the CRT to enjoy world class artists, entertainment and activities. 8 PM Denise has a new CD that we tracked here at SpragueLand and we're gathering the tribe to rip it up realtime! Kevyn Lettau  vocals 7 PM Playing some duo jazz with Kevyn Lettau. Tripp Sprague  sax, flute, harmonica 8 PM Gathering the BlurFolks for a night of good tunes.